The best way to keep your skin moisturised and looking young is a Dry Brush/Oil routine. 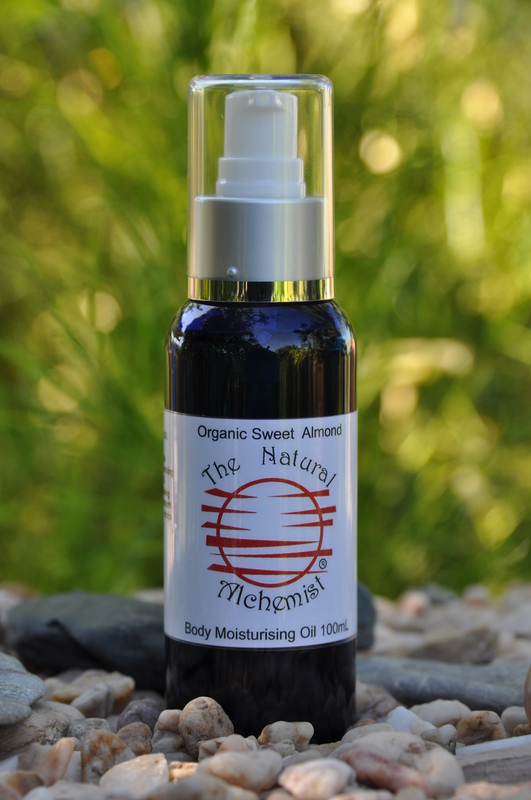 Almond oil penetrates quickly, softening and nourishing the skin. This beautiful oil can be used alone or with your special blend of essential oils to give it your own personal touch. Lightly dry brush your whole body in long slow upward strokes towards the heart, before your morning shower. (A long handled soft Dry Brush is best). After showering apply Organic Almond Oil to your whole body, while your skin is still damp; the water helps take the oil into your skin and leaves it moisturised but not oily, pat dry if needed.